Once heat begins in Summer or overexposure to the sun,your hair might become dry,dull and damage.Following simple steps make your hair healthy,Glowing and protect your hair from damage. conditioners:Sweat can causes harmful to your hair, Due to its increased natural salt content, it can easily dehydrate your scalp. The roots might hugely suffer as a result.This creates a layer of salt and dirt on your hair, which leads to dryness of hair.So wash your hair twice a weak.It is good if you wash your hair for every 2 days.But after you shampoo and have your hair thoroughly rinsed with water.But don't forget applying conditioner after shampooing the hair.This will keep your hair moisturised. Hair Treatment:Summer may damage your hair's by making hair dry.Treatments are usually necessary.No need to waste your money by visiting parlours. You can also find most of the ingredients in your kitchen. Mix egg white and milk,apply to hair.Wash your hair after 10 Min's. Away From Dryers:Don't use hair dryers in summers,damaged due to overheating by excessive use of hair dryer use in summer,hair will become extremely dry.Allow wet hair to dry naturally. Often Cut Your Hair Ends:when you have long split ends it will make your hair shorter in the long run because most of your hair is damaged. also your hair may seem like its not growing because the split part is breaking off.Often Cut Your Hair ends every month depending upon your hair length. Long hair should be trimmed at least every 8 to 12 weeks. 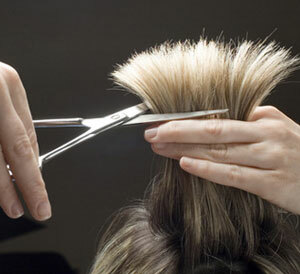 If you notice more breakage or split ends, it could be cut as frequently as every 6 to 8 weeks.